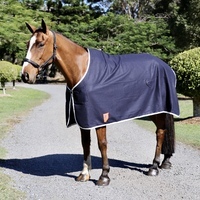 6'9" (Out of Stock) 6'6" (Out of Stock) 6'3" 6'0" 5'9" 5'6" (Out of Stock) 5'3" 5'0" 4'9" (Out of Stock) 4'6" (Out of Stock) 4'3" 4'0"
This is a great all in one show set with a rug, hood and tailbag. 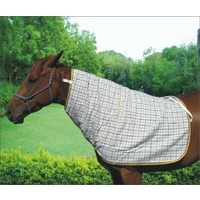 The set is made using a 100% Drill Cotton fabric in Navy color and bound with Sky Blue trim. 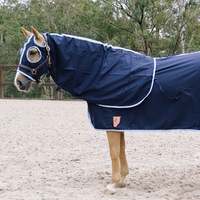 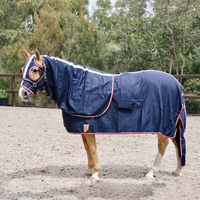 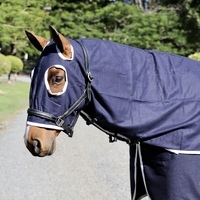 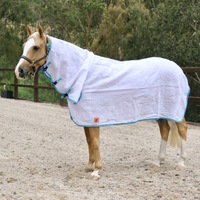 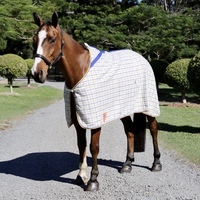 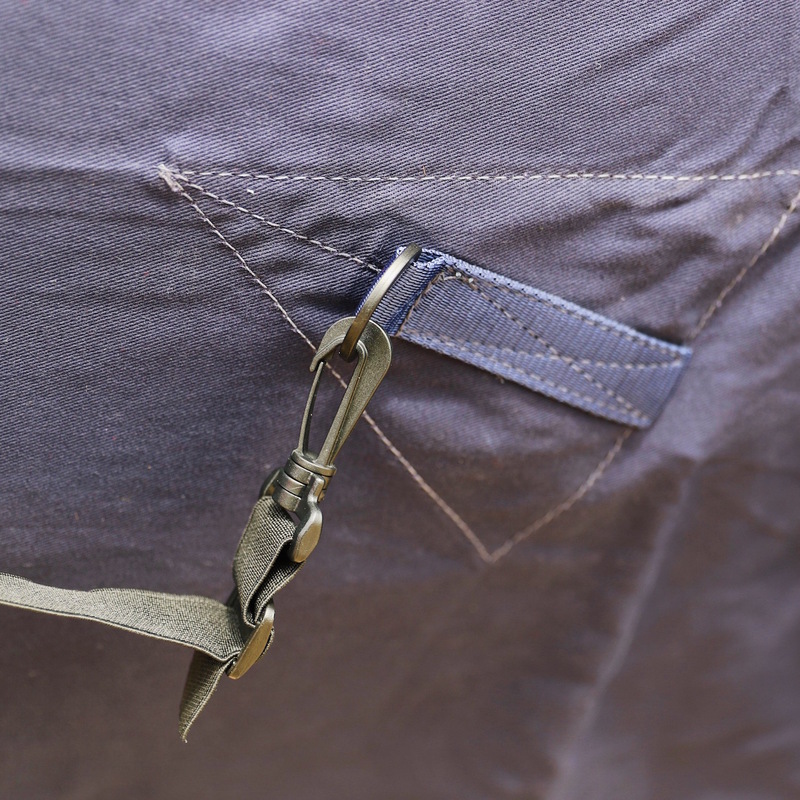 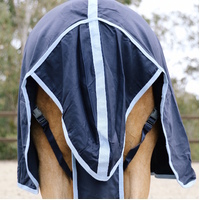 To keep the rug light, highest quality plastic fittings have been used along with a solid brass 2 bar chest buckle and a soft 70D lining to prevent rubbing at the shoulders, mane and tailbag. 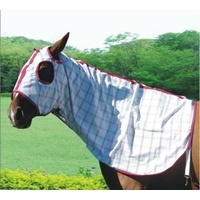 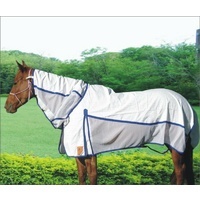 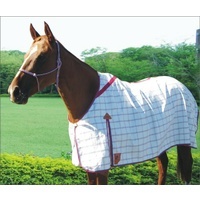 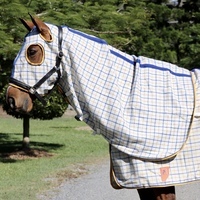 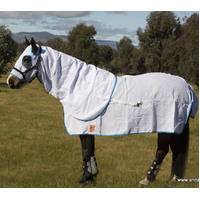 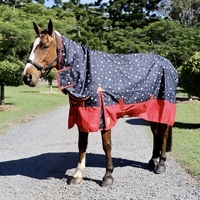 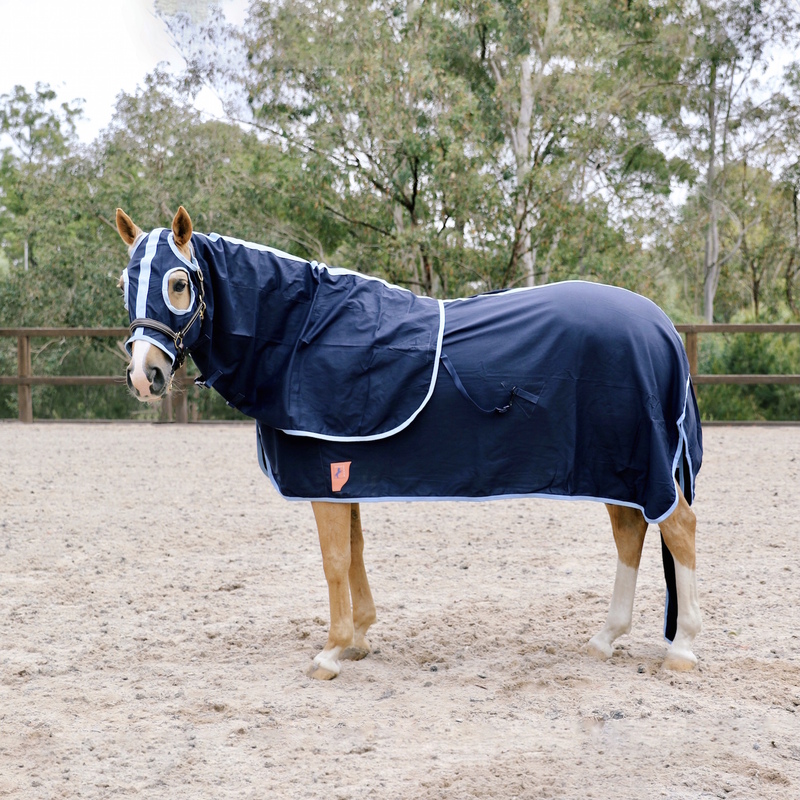 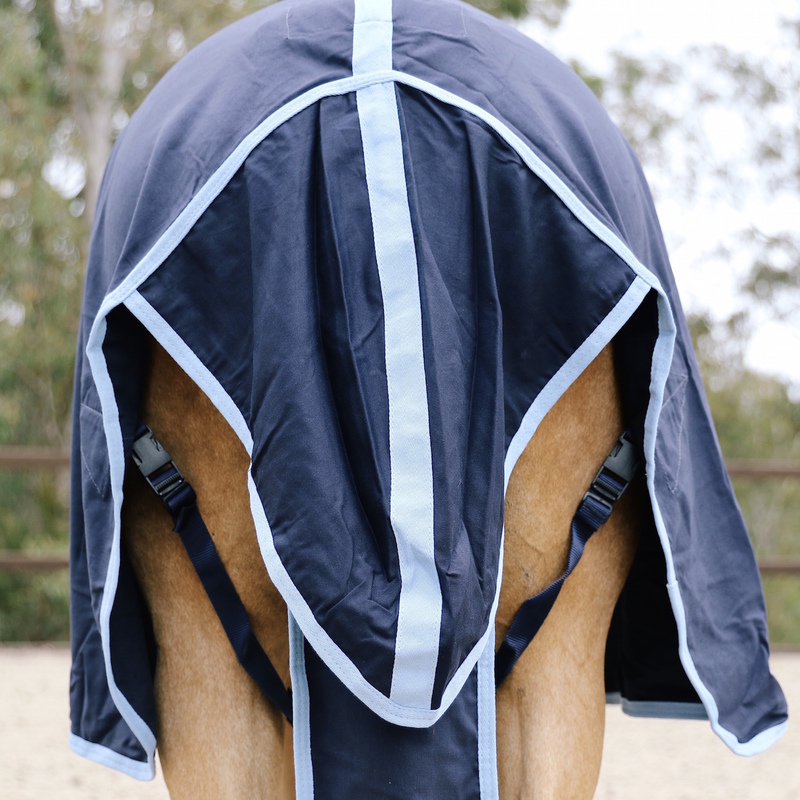 The versatility of this rug allows you to separate the hood and tailbag from the rug. 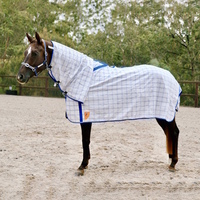 This show set is ideal for use as a show rug or a travel rug. 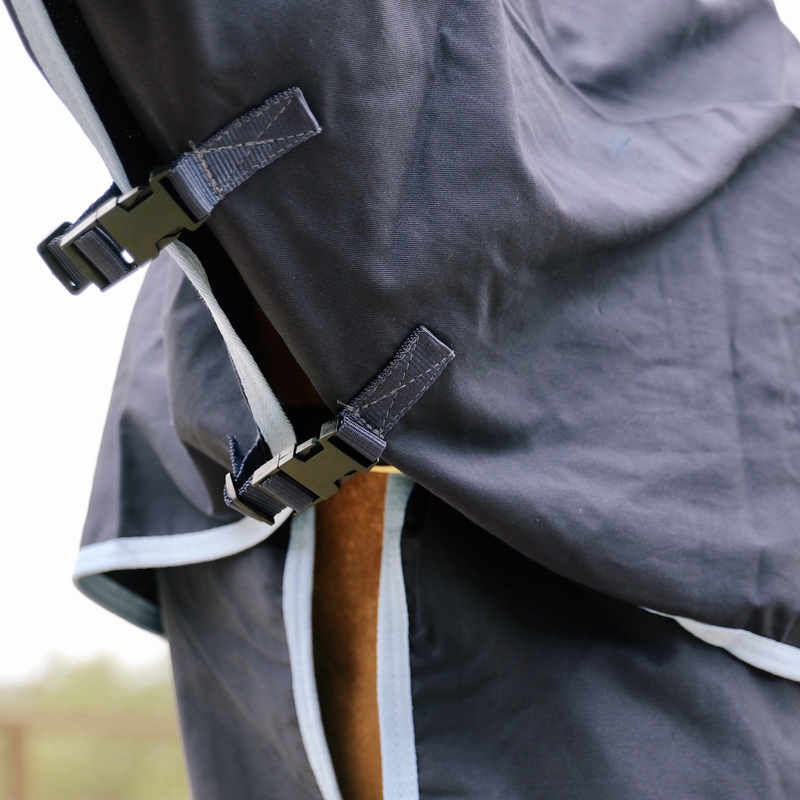 Soft 70D Lining at the shoulders, mane and tailbag to prevent rubbing. 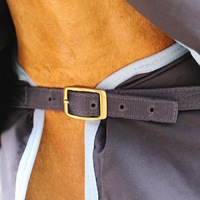 Bound with a Sky Blue Polyester binding. 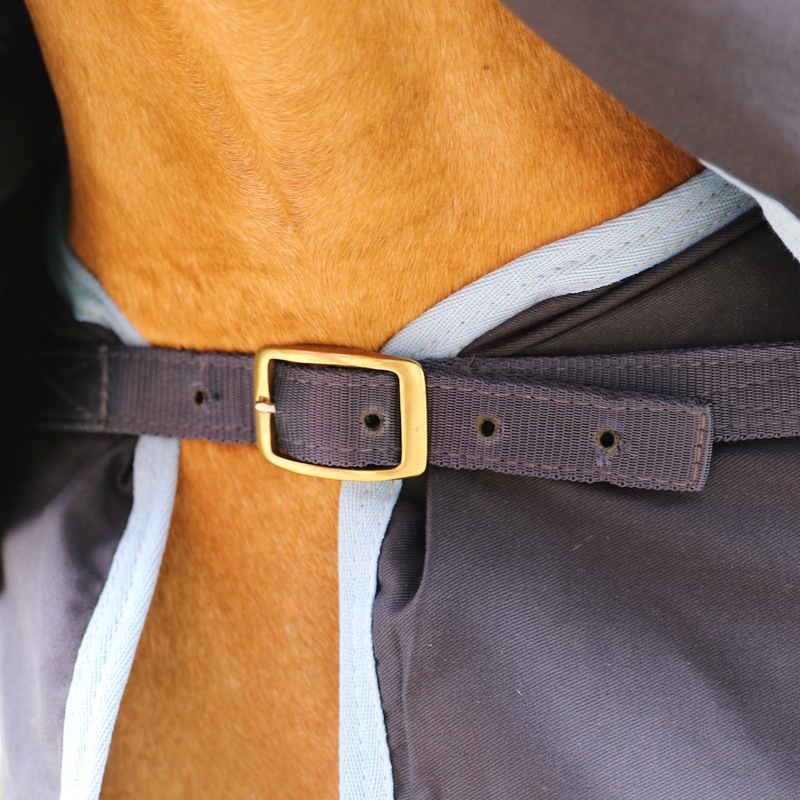 Highest quality Plastic fittings along with a solid brass 2 bar chest buckle. 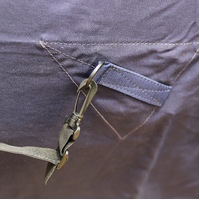 Attached Hood & Rug connectors.